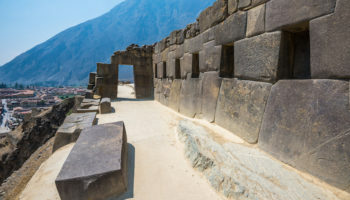 Ollantaytambo, called Ollanta by the locals, is an ancient Inca temple and fortress as well as a village in Peru, located at the northwestern end of the Sacred Valley of the Incas. 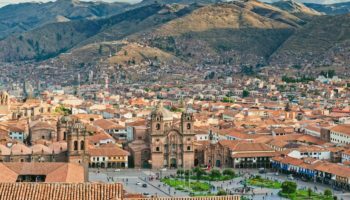 It lies about 95 km (60 miles) north of Cuzco and is home to some of the best-preserved Inca ruins in Peru. 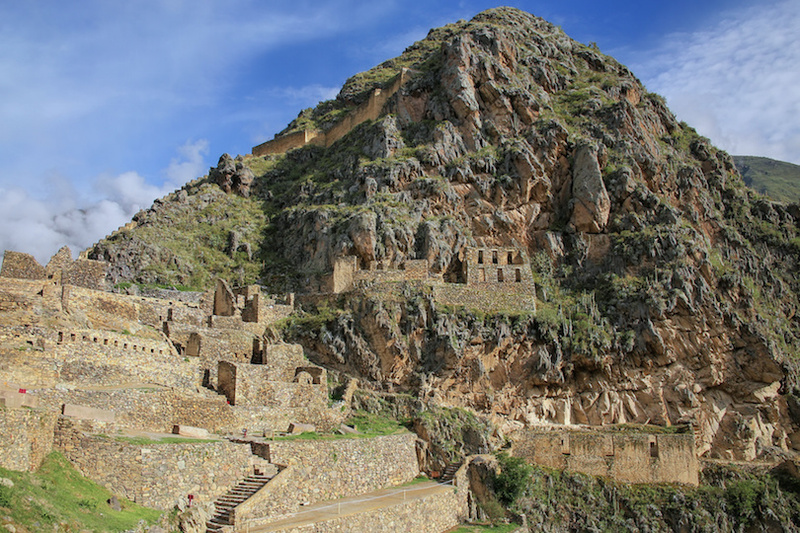 Ollantaytambo was the estate of the Emperor Pachacuti who built the ceremonial center and the town. 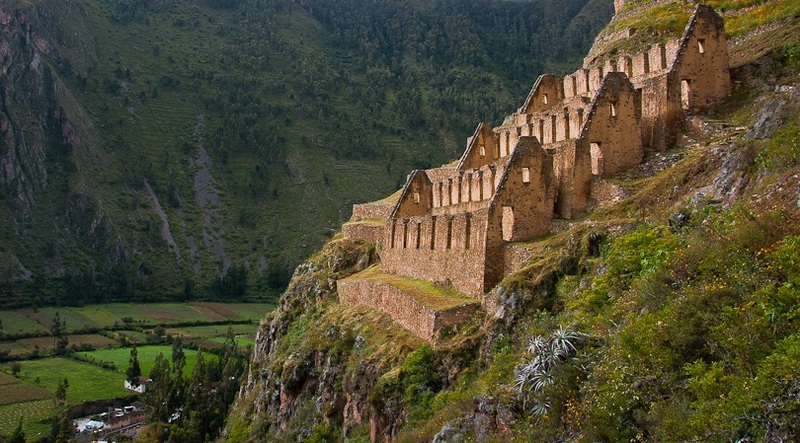 During the Spanish conquest in Peru, Manco Inca Yupanqui, the leader of the Inca resistance, used it as a fortress. 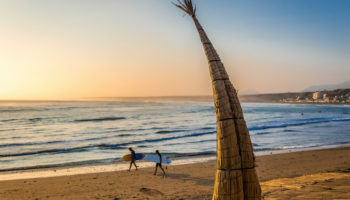 It has the distinction of being the only place in Peru where, in 1536, the Inca repelled the Spanish army. The Spanish returned however, with more forces and the Inca retreated to Vilcabamba. 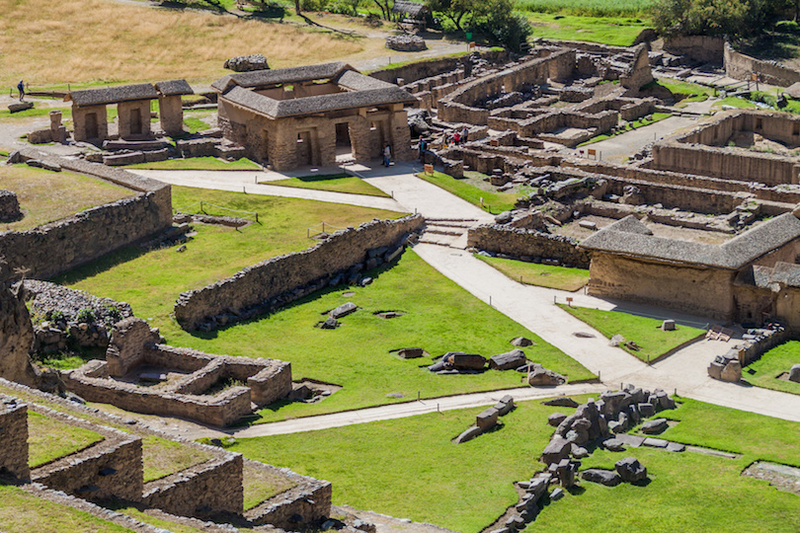 The ruins at Ollantaytambo are mostly of religious significance, although they were also important strategically. 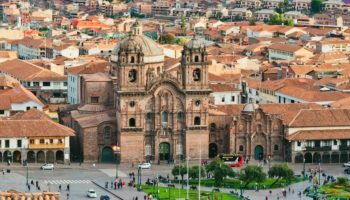 Built in the 1400s, the large Inca fortress (also known as Temple Hill) and the Temple of the Sun with its monolithic stones soar above the town’s cobbled streets. 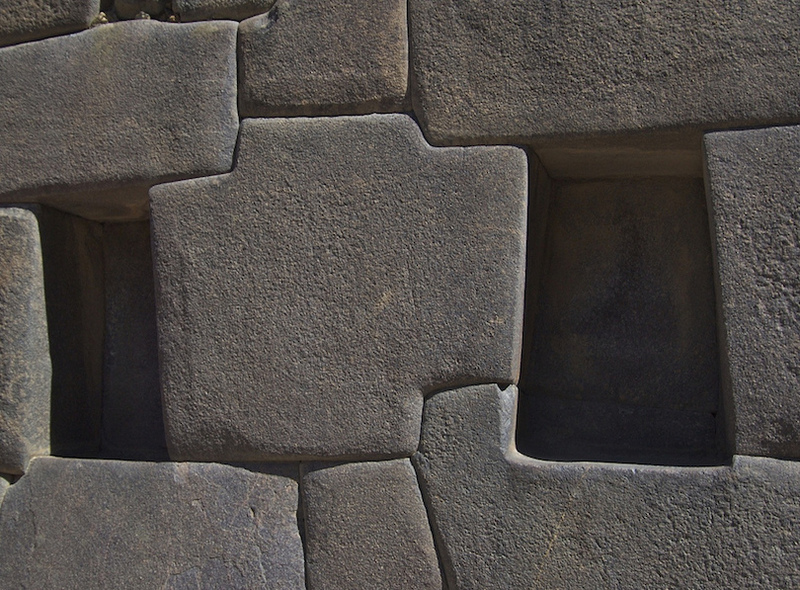 Ancient symbol-like marks in relief still adorn these huge stones. The complex also includes a stepped terrace as well as an area known as the Princess Baths, where ceremonial bathing took place. 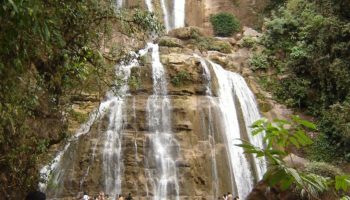 A climb up the 200 steps to the top gives a visitor a close up look at the remains of several fountains and temples. 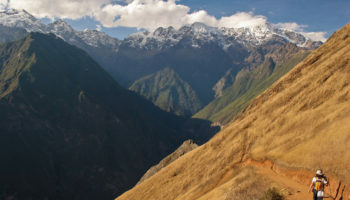 Those local to the area also like to point out the Inca face carved into the cliff above the valley. 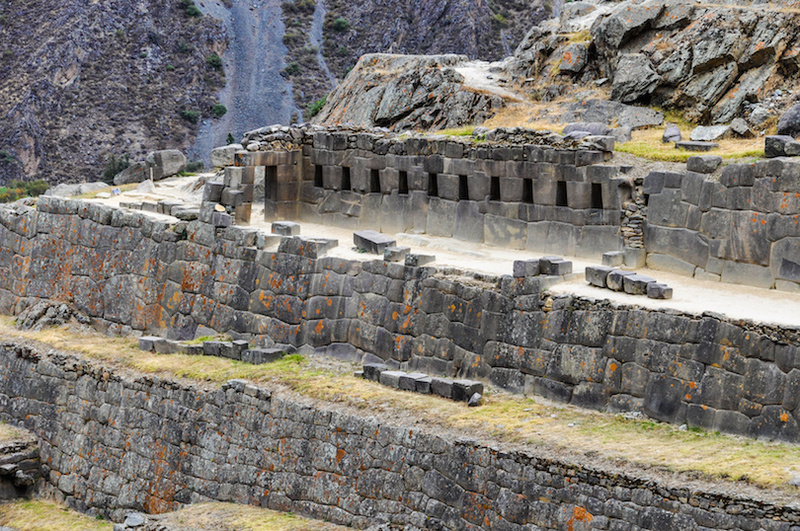 The Incas built several storehouses out of fieldstones on the hills surrounding Ollantaytambo. 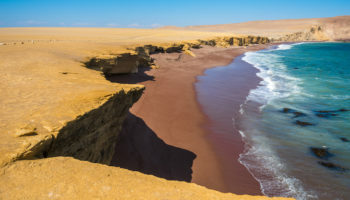 Their location at high altitudes, where there is more wind and lower temperatures, preserved their contents against decay. 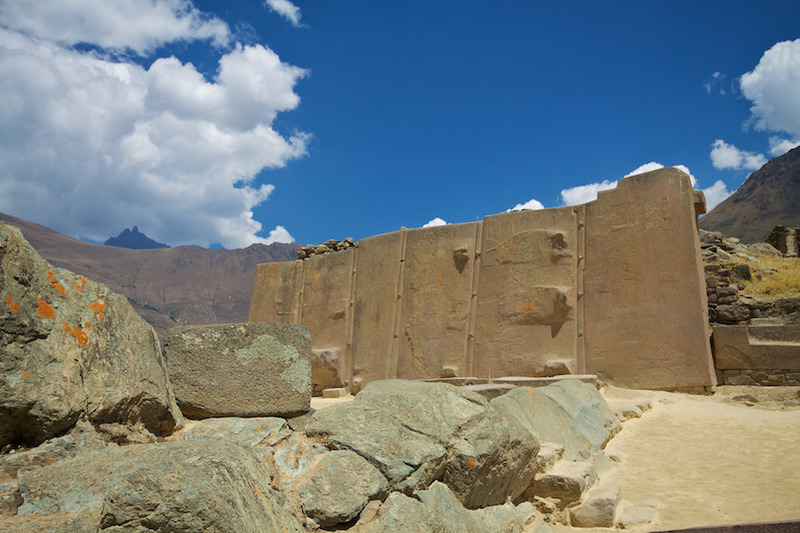 A towering wall, known as the Wall of the Six Monoliths, stands directly in front of the terraces at the Temple Hill. For unknown reasons, this construction was never completed. 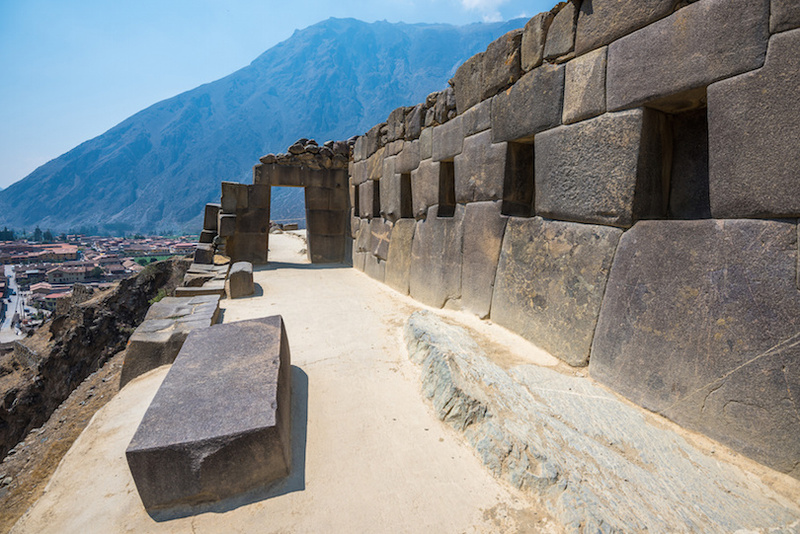 It is notable because of the distance the Inca had to move the huge stones. 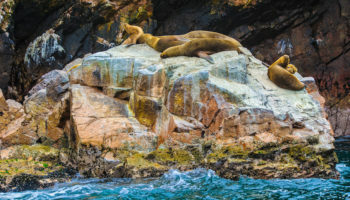 They used their special techniques to move the stones from a quarry high on the mountainside on the opposite side of the Rio Urubamba, across the river and up to the place where it now sits, a distance of 6 km (3.7 miles). Below the ruins is the old town of Ollantaytambo. 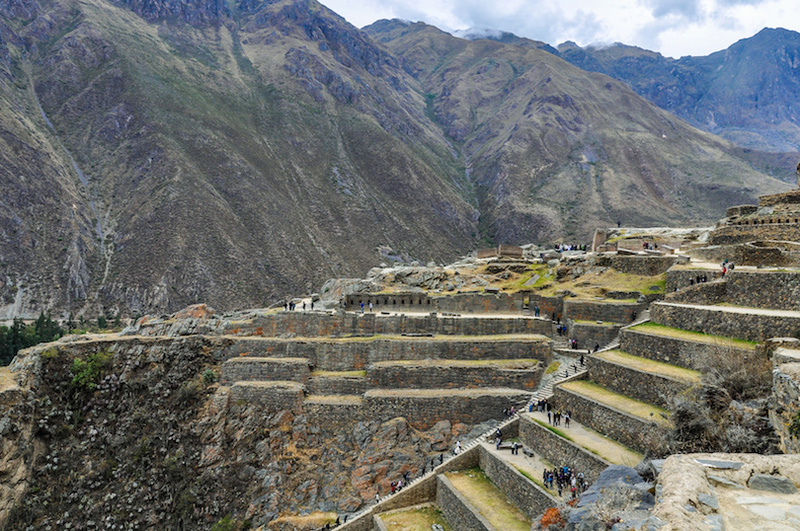 The town lies on top of Inca foundations and is one of the best examples of Inca town planning. 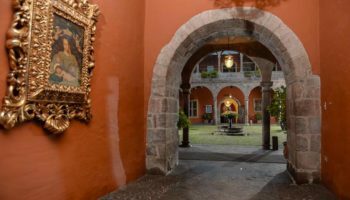 The cobblestone streets, lined by adobe walls, are kept in pristine shape. 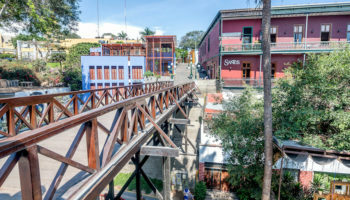 Canals continue to bring water to the town from the mountains. 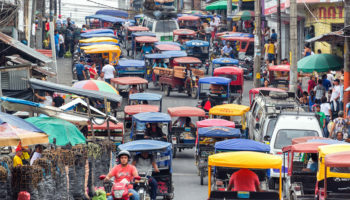 The town itself is divided into blocks, or canchas. 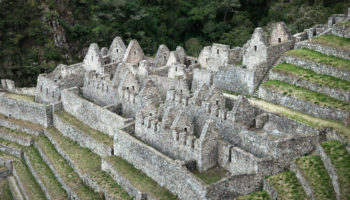 Each cancha was home to several families, and these homes had access to a main courtyard. Some families continue to live in their ancestor’s home and have small shops in their courtyard. Ollantaytambo is a very traditional town, but the locals, clothed in their brightly colored native dress, have no problem with visitors taking pictures or walking through their little town. 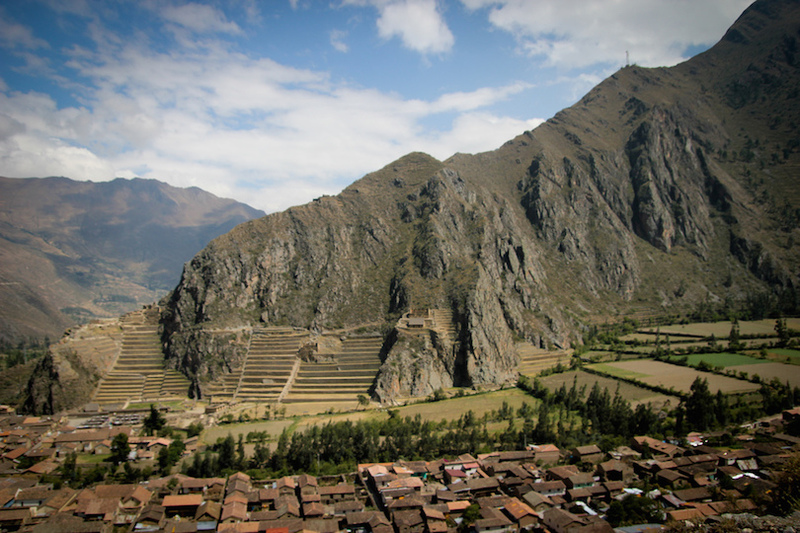 Ollantaytambo is one of the most popular tourist sites in Peru and is one of the sites often visited when hiking along the Inca Trail. Even if one is not interested in ruins or archaeology itself, a visit to this site is impressive just for the views from the top of the terraces.